Hello Myxilogers! I hope everyone's doing fine today. If not, well, I wish you'll get back on track and be good again. If ever you are following my instagram account, you'll probably notice the squares I had for instax photos. Last week, I had thirteen posts in a row. Wow. That is not a very nice number if you'll think. But yeah, no one minds at all. Anyways, I enjoy being acquainted with my fiance's passion. Here are some reasons why. First, we are sharing the same interest as we both love to take pictures. Though I am a bit bad on the technicality of a gear, he is always there to coach me whenever I have a hard time comprehending things, he's there along the way. Second, we now are working together as we build our own photography company. This is a very nice way to sustain your relationship, working together as a team. There is no other thing that will bring more joy than having your mate as your workmate. I always tease him by calling him BOSS, he responds positively, for I really love working with him, and for him as his employee. Third, we are earning a bit together while fully enjoying what we do. And since GJ already invested on nice gears, all I need to do is take time studying how they work. Might as well post a separate story regarding Fujifilm cameras and so, stay tuned! One of his favorites is this Instax Photo printer he had last year. It was actually a surprise announcement but then I knew already that he had one, before he finally thought of spilling it out. I think girls are really so keen when it comes to instincts. 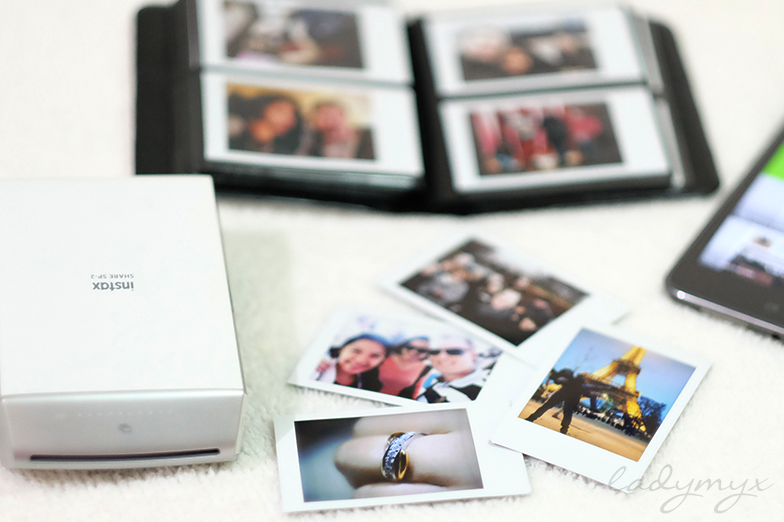 A great way to immortalize one's memories is to print them. I couldn't agree more with this statement. It might be a little nostalgic but of course, photos were meant to last a long time. Though people now tend to save their memories on USB, disc or online, it is still something when it is palpable, something you can touch with your bare hands. This Instax Printer is WiFi connected with my Samsung Galaxy Tab and it prints pretty fast, like not even 10 seconds. Images came out bright and crisp, unlike the ones of the first version of the Instax printer, the SP-1. Though I really haven't tried it, I've read reviews that support that conclusion. Of course, the updated one is always better than the older version, I think. Printing made easy for Fujifilm digital cameras since they can send directly to the printer in seconds. 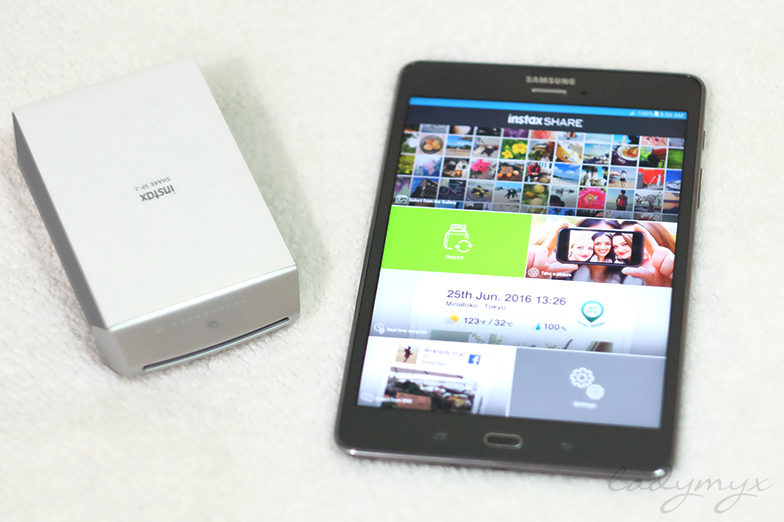 Otherwise, a smartphone can be use with the Instax Share application. This printer is compatible with Fujifilm X-Pro2, X-T2, X-T1, X-T10, X-E2S, X-E2, X-M1, X-A3, X-A2, X-A1, X100T, XQ2, XQ1, X70, X30 and FinePix F1000EXR. There were some instances that the tablet doesn't connect to the printer. But after another try, it will instantly work. Perhaps because of not working for quite some time, wifi disconnects itself from the printer. High resolution with print pixels of 800 x 600 dots and of 320 dpi shows detailed gradations and the face expressions of a full-length portrait, characters, materials, etc. clearly. The instax system develops colors by delivering the light to pigments and producing chemical reactions. It also has this led strip on top indicating how many films are left in the cartridge and if the battery is nearly empty. The power button is located on its side. And there is where reprint button is located too. And that I find very helpful. For multiple copies of photos, it is just a press away! 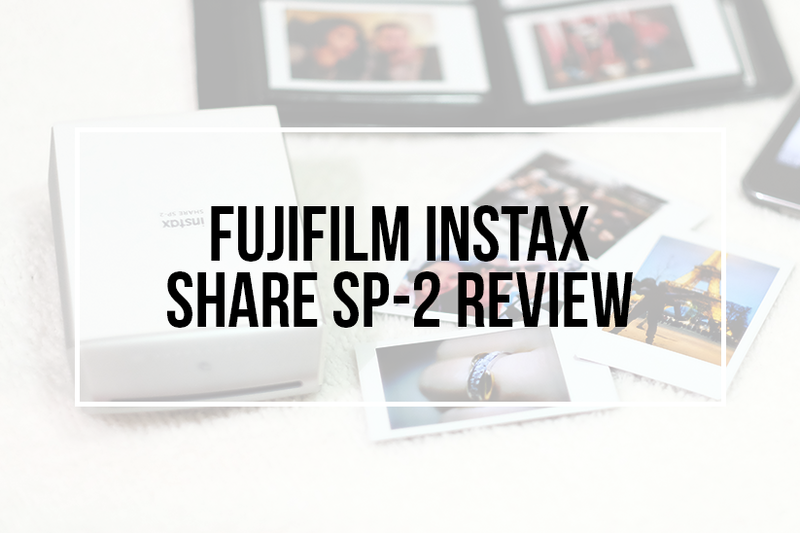 Our overall experience with the Fujifilm Instax Share SP-2 printer was amazing! For all the quality prints it provides, we are more than satisfied. Now, we are hoping that they will also make Instax Wide and Square printers. That would be awesome! In line with this, we decided to open up a small printing service shop within our vicinity, and we ship nationwide. 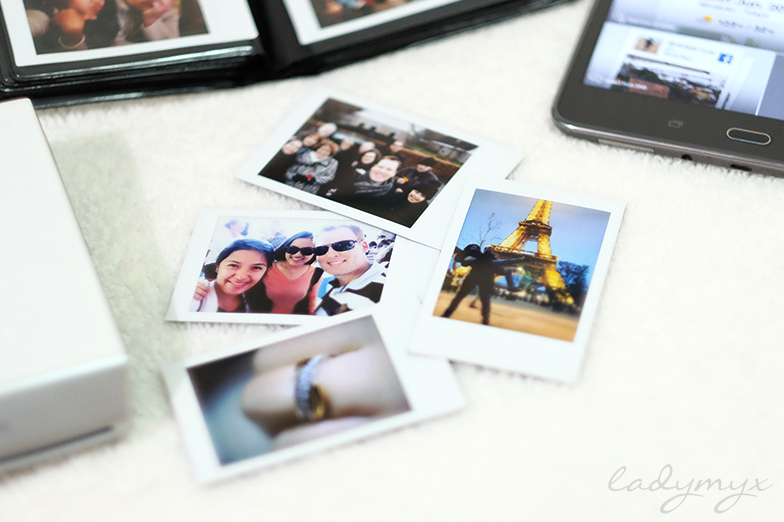 It gives others a chance to enjoy having Instax photos even without an Instax camera. Awesome huh! Please show us some love by liking our page and following our account. 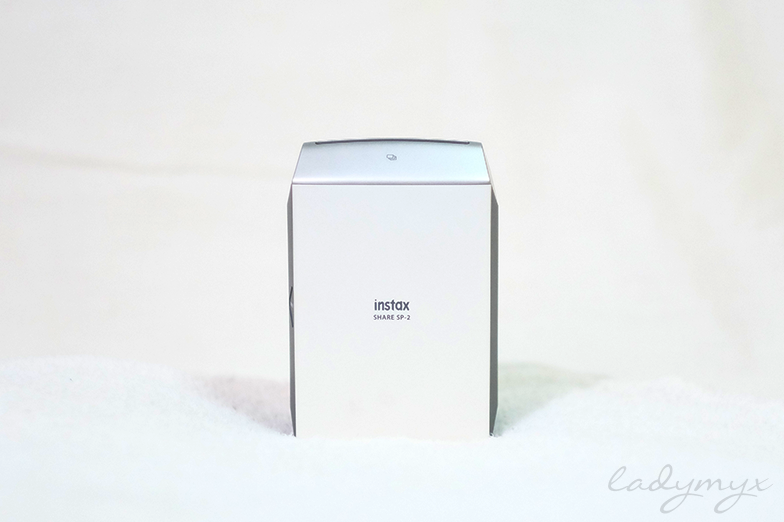 How do you feel about the Instax Photo Printer? It's quite pricey for me but I agree on your "palpable" statement. I have tons to print ever since we got married but I still haven't find the time to print them. One question though, does it fade? I know instax prints that fades as time goes by or the color was not that good after a long time. I used to have a kodax printouts too, the small prints just like the size of instax but I don't like the color of it now. Too dark! Besides the album is too cute to look at. I really liked this product and yes as everyone feels it is a bit expensive but worth it nonetheless !